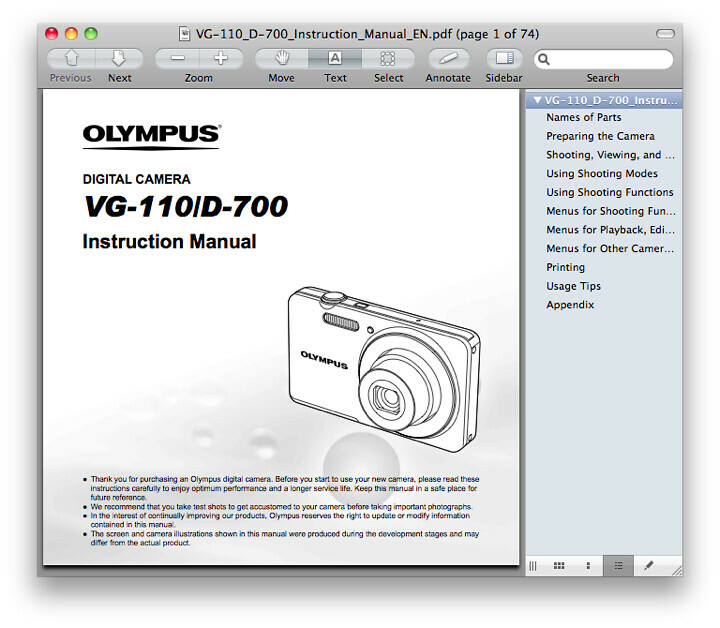 The English Language Olympus VG-110 user manual / operating instructions (Olympus calls it the “VG-110 Digital Camera Instruction Manual”) is now online and available for download at olympusamerica.com (right-click and save the user guide to your hard drive). If the download link didn’t work for you, go to the Product Support page for the VG-110 and manually locate the file “VG-110 Instruction Manual (English) (2.52 MB)”. The guide is also available in Spanish, French and Portuguese / Brazilian. Unlike with Nikon, Olympus allows you to freely print the VG110 owner’s handbook without building in any password protection into the PDF. The file size of 74-page Olympus 110 Adobe Acrobat PDF document is 2.6 MB (Megabytes). The guide discusses the features of the VG-110 and how to use the camera. Page 12: Proper insertion and use of SD and SDHC memory cards. Popular Olympus VG-110 books and other printed literature and reading material in the Arts & Photography and Books section on Amazon.com.